Have you done your back to school shopping yet? I have - unbelievably the boys return to school on August 10th. 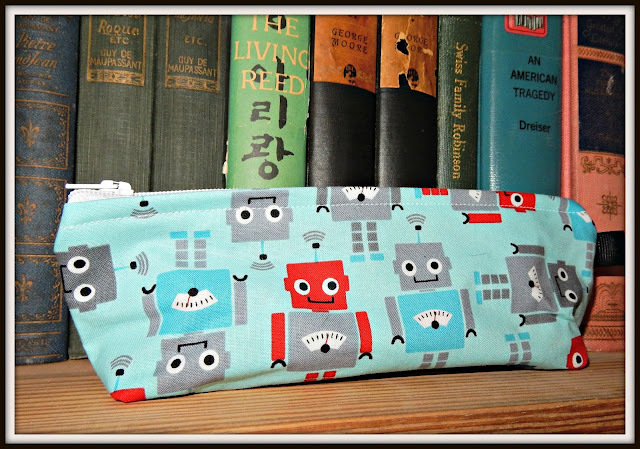 This time of year I fill up my Etsy shop with pencil cases of all sorts of fun designs. My Little Pony, sharks, super heroes, Teenage Mutant Ninja Turtles, Hello Kitty - if I can find the fabric I can make it. I thought I'd do a giveaway of one of my pencil cases this year. Winner gets to pick their favorite from the shop. I will ship worldwide. To enter, just click on the Rafflecopter giveaway below. Good luck! Got a minute and want to check out the pencil cases I have available? You can visit the Two Bears Farm Etsy Shop HERE. we no longer need pencil bags, but this one is so cute! happy day to you and yours! They're going back on my birthday??? That's just rotten, poor guys! It is almost that time of the year for sure. I dont have any little ones in school any longer, but if I did, I would definitely order one of your pencil cases. Back to school... Can I go back to sleep first? ;) Super cute pencil case. We're back to home schooling this year (now that baby is here), and I'm working to psyche myself up for it... Granted the bleary eyed, sleepless mommy thing may be getting in the way. but someone beat me to it this year. Oh, that's great pencil case! Very cool! Yep, it seems everyone is already out collecting their school supplies and it's still July! I do hate seeing summer robbed of it's golden days yet, but it seems the manufactures always push the next something upon us! Your sooo crafty!!! That pencil bag is adorable! That is so cute! Isaak would love it!